Mountain Valley Academy is a Junior High and High School Program serving children with complex educational, emotional and behavioral challenges. Mountain Valley Academy was founded to serve students that have been referred to us by their parents and School Districts in collaboration with their IEP teams. Each student’s progress is at their own pace and with a close eye on their interests following his/her IEP. 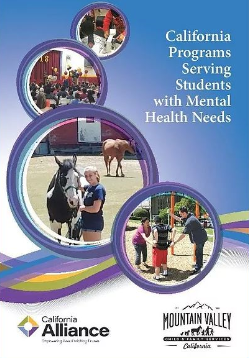 Mountain Valley Academy is a Junior High and High School program, serving children with complex educational, emotional and behavioral challenges. Mountain Valley Academy class sizes range from 7 to 10 students. Teachers are credentialed in Special Education and classroom aides and mental health workers are available to provide additional attention and support throughout the day. 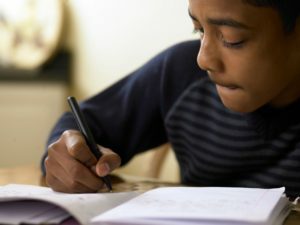 Our curriculum meets Common Core State Standards and State Curriculum and offers multiple credit recovery opportunities as well as a wide variety of extra curricular activities. While our curriculum includes the requirements of the Common Core Standards, our program focuses on the total success of the student and their special needs.